Lyft is a ride-sharing service that launched in 2012 as an alternative to traditional taxi services and in direct competition with Uber. Rather than hailing a cab or calling a car service, people instead use a smartphone app to request a ride. The passenger is matched up with a nearby driver and receives an alert when they arrive. Ride-sharing services differ from taxi and car services in a few distinct ways. Drivers use their personal vehicles rather than a company-issued one, and payment is made through the app, not in the cab, though cash tips are permitted. Lyft is available in hundreds of cities in North America. To request a ride, you must be at least 18 years of age. To become a Lyft driver, you must be at least 21. To use Lyft you need a smartphone with a cellular plan and the Lyft app. You'll need to enable location services so that the app can match you up with prospective drivers and so that your driver can find you. Lyft doesn't work with Wi-Fi only devices. There are apps for iPhone and Android; users of Windows phones and Amazon devices can use the mobile site (m.lyft.com) to request a ride. Lyft's platform works with the big four cell carriers (AT&T, Sprint, T-Mobile, and Verizon) and most prepaid operators including Cricket Wireless and Virgin Wireless. Before your first ride, you'll need to set up an account and add payment information; you can create a login or sign in with Facebook. Lyft accepts major credit cards, debit cards tied to checking accounts, and prepaid cards as well as PayPal, Apple Pay, and Android Pay. Next, you'll need to provide a profile image, your email address (for ride receipts), and your phone number. Drivers will see your first name and your profile image so they can identify you; likewise, you'll see the same information about them. Optionally, you can add more detail to your profile: your hometown, your favorite music, and some information about yourself. Your driver can use this information to break the ice, so add it only if you like to chat. Once you've added the required information, Lyft will text you a code to your smartphone can it can verify your identity. And you're ready to go. Lyft Premier, Lux, and Lux SUV are not available in all cities. Go to the Lyft cities page and click on your city, for example, New Orleans, to see what's available. Lyft Shuttle is available only in limited cities during the morning and afternoon rush hour. It's like Lyft Line, except it doesn't pick riders up at their address, but instead at a nearby designated pickup spot, and it drops them off at another designated stop. It's like a bus service, but on demand. To order a Shuttle ride, select Lyft Line, where you'll see two options: door-to-door and Shuttle. The app will then give you walking directions to the pickup stop and the departure time. Open the Lyft app, then choose your ride type from the options listed above. After you select the type of car you'd like, tap Set pickup. Confirm your location by dropping a pin on the map or entering a street address or business name. Then tap Set destination and add the address. You can also choose to wait until you get in the car to tell your driver by tapping Skip, unless you're taking a Lyft Line ride. To order a Lyft Line ride, you must input a destination so Lyft can match you up with other passengers traveling in the same direction. In some cities, you can see the price of your ride after entering the destination. Once you're ready, tap Request Lyft. You can also add multiple stops if you need to pick up or drop off another passenger. The app will then search for nearby drivers and match you up with one. You can see on a map where your driver is and how many minutes away they are. The app will tell you the make and model of the car as well as the license plate number, so you don't have to worry about getting in the wrong one. Lyft drivers get turn-by-turn directions through the app, so you don't have to navigate for them or worry about getting lost. It's a good idea to confirm your destination with the driver to avoid confusion. When you arrive at your destination, the Lyft app will display the total amount of the fare. You can add a tip, and then rate the driver on a scale of 1 to 5, as well as optionally leave written feedback. Drivers also rate passengers; it's a requirement. Passengers can request their rating by contacting Lyft. Lyft will email you a receipt for each completed ride. In many cases, you can see an estimate of your fare before requesting a Lyft, but factors such as traffic can affect the final total. Lyft calculates its fares by distance and time (minutes traveled) and adds a base fare and service fee. Different ride types, as discussed above, have different base fares. For example, Lyft Premier has a higher base fare than Lyft Line. You can view the base fares for your location on Lyft's Cities page. During busy periods, Lyft will add a Prime Time fee, which is a percentage of the ride total. From the Cities page, you can also get a cost estimate, by inputting your pickup and destination addresses. Lyft will show you a list of options (Lyft Line, Plus, Premier, etc.) and prices in ascending order. Uber, which is available around the world, is Lyft's most significant competitor and offers similar services. The burning question for riders is: is Lyft or Uber cheaper? The answer, of course, is complicated and depends on many factors including the location and time of day. Uber has an online tool where you can request an estimate; note that the fare types are not in order of price. In most cases, you need a smartphone to order a Lyft, but Lyft partnered with GreatCall to enable its subscribers to access the ride-sharing service from their Jitterbug phones. GreatCall is a prepaid phone service aimed at seniors that sells mostly basic Jitterbug phones most of which do not support mobile apps. Included in the service is a live operator who can assist subscribers in a variety of ways, including in emergencies. Through the GreatCall Rides program, subscribers ask their live operator to request a Lyft. GreatCall adds the fare (tip included) to their monthly GreatCall bill. GreatCall Rides is available only in a few states, including California and Florida, and a couple of cities, including Chicago. To find out if it's available where you live, you can check your zip code on the GreatCall website or dial 0 and ask the operator. 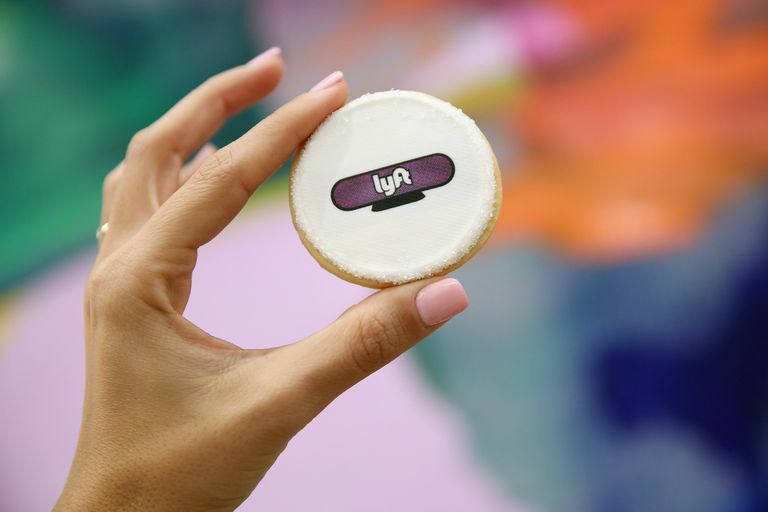 Lyft also partnered with the Massachusetts Bay Transportation Authority’s (MBTA) paratransit service to provide on-demand rides for disabled passengers. Trips for members of the paratransit service cost as little as $2 and can be requested via the Lyft app or by phone. Should You Call an Uber or a Lyft? Which one is Better? Is the iPad Worth Your Money?